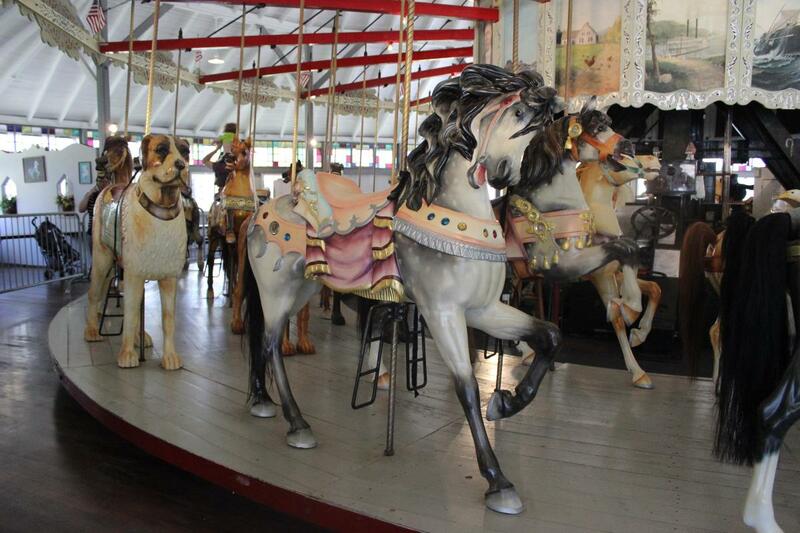 The Slater Park Looff Carousel, adjacent to the Daggett House, is the oldest Looff “stander carousel” in the world. 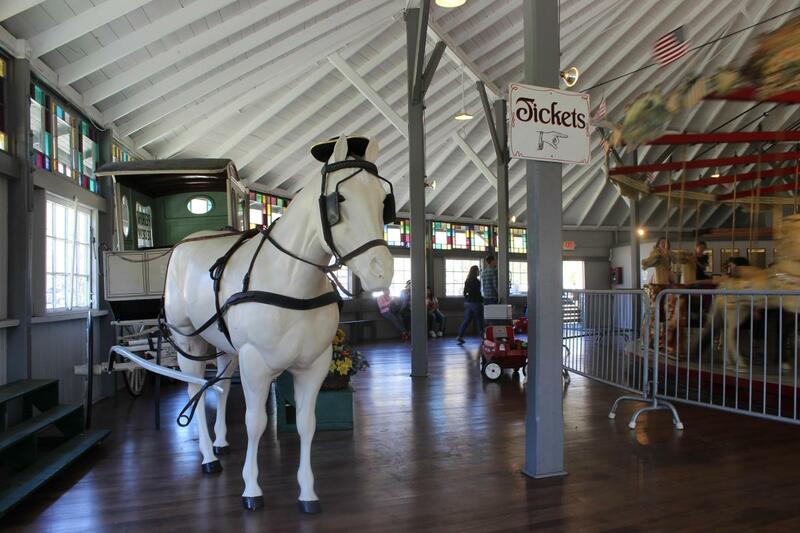 The carousel was built by pioneer craftsman Charles I.D. 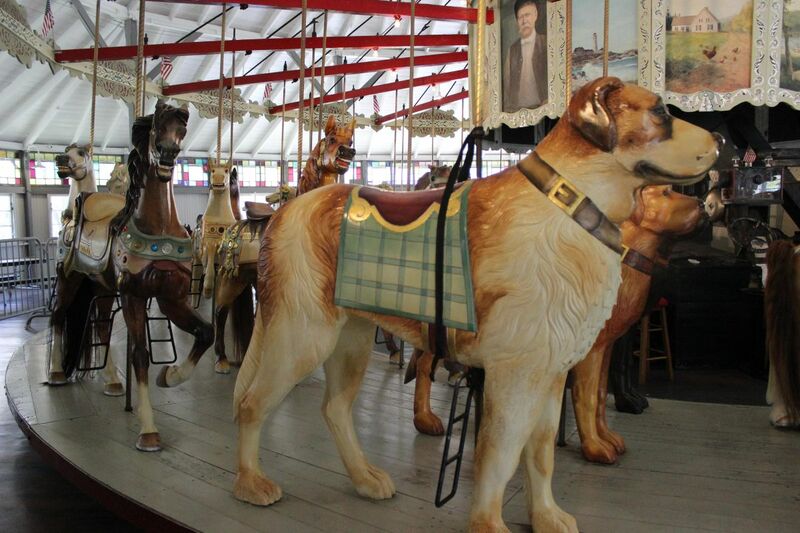 Looff in 1895 and was installed at Slater Park in 1910. 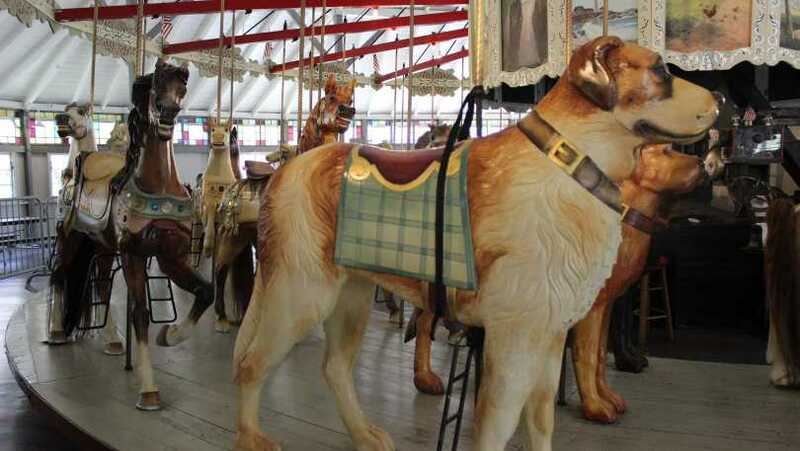 It has 44 horses, 3 dogs (rare) , 1 lion, 1 camel, 1 giraffe, and 2 chariots.